Unique Homemade Gift Ideas for Teens & the Young at Heart! 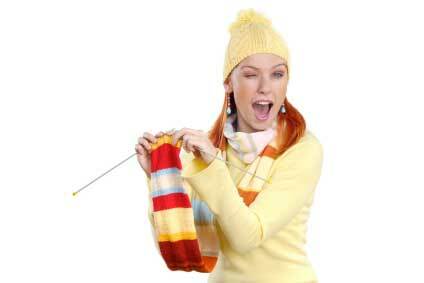 This "coolest" section of gift ideas is dedicated to homemade teen gifts as well as gift ideas for the young-at-heart. In fact, homemade gifts for teens are among my favorite to make. This is because teenagers love to be original, unique and colorful. Three of my favorite words! Just make a spiral, play with marbles (shown right), tie off circles... and tie dye something great like... tote bags, boxer shorts, t-shirts, scarves, socks, pillow cases. 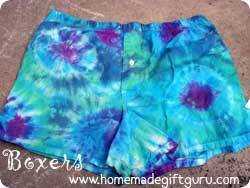 So feel free to make something tie dyed for a teen or suggest this technique to a teen in need of fun homemade gift ideas for their friends and family. Handmade Journal or Art Book. Homemade journals are awesome homemade gifts for teens to make or receive. For a simple and inexpensive homemade teen gift, try making a journal using collage or scrapbook techniques. Here's an easy homemade journal tutorial that shows exactly how to easily cover the front and back of a composition notebook with funky images, patterns and colors. 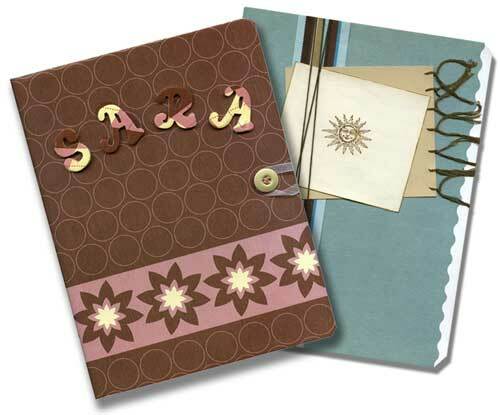 Another fun and thrifty idea is to make a journal using an up-cycled postcard or greeting card for the front. You can find out their favorite animal or something else that's special to them and find or purchase a postcard or greeting card that's perfect for this project. 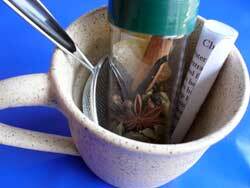 Tip... this homemade chai tea mix goes great with a homemade journal! Magical Fizzy Bath Salts. 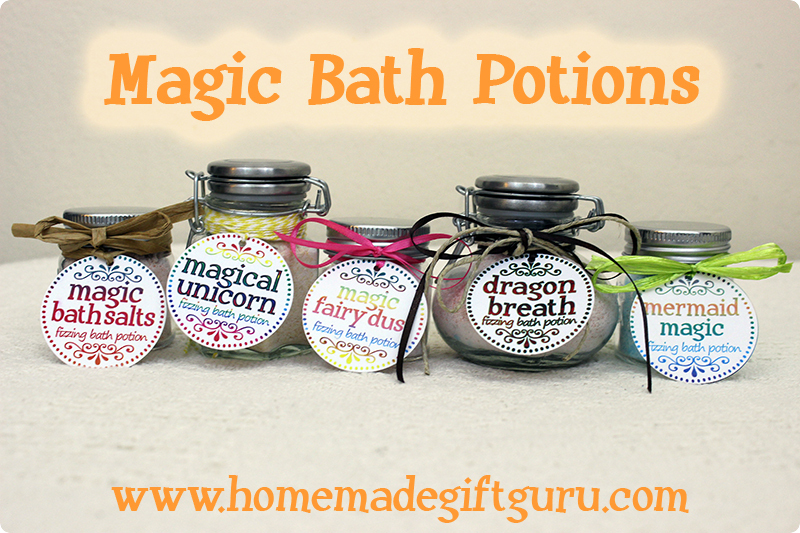 If you know a teen who loves to take baths and who loves mythical creatures... these magic fizzy bath salts may just be the perfect homemade teen gift idea for you. These homemade bath and body gifts are quirky, unique and fun. If that sounds like your fantasy loving teen, then this might be a great idea for you. The free fantasy printables included are perfect for magic loving humans who fancy mermaids, dragons, unicorns or fairies. There is also a more generic magic potion label if you want to customize it to your liking (for example, I anticipate some Harry Potter-themed gifts this year!). From my experience, teens are often sorting things out such as: who they are, what they like and who they want to be. Astrology is an awesome way for teens to explore who they are. For this reasons, I am super excited to share these unique homemade gift ideas for using sun signs along with free printable templates for each sign! Homemade Bath and Body Sets. Homemade bath and body recipes make great homemade gifts for the many teens that love those types of things. Try making some simple homemade bath salts, sugar scrubs, lotions, scented oils, learn how to make bath powder, hand made soap or even bath fizzies. 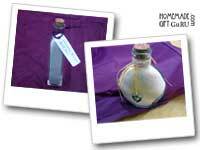 All these items can be given as part of a set or just packaged in a cool jar or container with a bow. Framed Quotes, Sayings & Song Lyrics. These make great homemade teen gifts! ...Choose quotes or lyrics that are funny or spiritual, depending on his or her personality. Spell out the saying in fun or funky fonts on your computer, add clip art if you want, and print it out on your home printer. You can buy a frame or design one yourself by adding fabric, patterned paper and other materials to an old frame or one from the dollar store (like I did with this simple decoupage frame). If you are on a bare minimum budget and you don't have an old frame to use, card board will work too. Just cut a frame from card board and cover it in awesome paper. I also used this idea to make a decoupage frame (with affirmations) for my mom and she loved it. She's young at heart too! Handmade Blanket or Pillow. 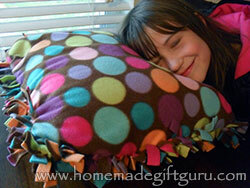 Pillows and blankets make great homemade teen gifts because teens love to sleep... hahaha! Funny but true. They also make cute additions to bedroom decor and can be personalized perfectly. You can choose fabric matching the colors of his or her bedroom, favorite sports teem or anything else they're into. DIY pillow covers and/or blankets can be super simple (such as this no-sew fleece pillow) or they can require that you utilize or learn a new skill. In addition to the no-sew option shown, you can make a blankets and pillows using crochet (use soft, designer yarn if possible), quilting, sewing or embroidery. In addition to choosing fabric, you can personalize them using beads, awesome patches or embroidery. Origami Boxes. Origami is a great match for teens! I gave origami box towers (full of various candy) to my cousins teenage kids one year for New Years and they were super impressed. They kept the boxes long after the candy was gone and used them for knick-knacks. 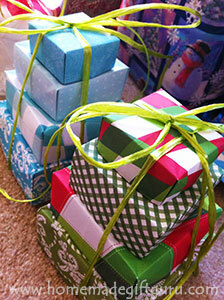 Origami makes a fun homemade gift idea for teens to make or receive. Check out these origami instructions to learn how to make fun origami boxes in a variety of sizes. Homemade Jewelry. Yes, we can all make homemade jewelry. A great free resource for learning some basic techniques is Fire Mountain's free jewelry making instructions. 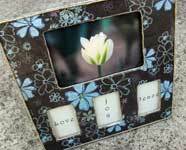 Homemade or Embellished Friendship Centered Photo Books. To most teenagers, friendship is a top priority. That's why photo books of all kinds make great homemade gifts for teens. You can make a small album or a large scrapbook. Tips: If you don't have access to the right photos, try making an album that is complete except for the pictures. Then he or she can fill it up later. Homemade Bedroom Decor. Make homemade teen gifts for his or her bedroom. Try making a wall hanging of his or her name, a Do Not Disturb sign, a homemade wind chime for the window or an embellished light switch cover to name a few. Spruce up an old lamp (see below), a plain trash can or a simple curtain by sewing or gluing beads, decorating with fabric paint or hot gluing charms and other embellishments. An iron-on patch is also a fun way to turn a plain pillow, curtain or blanket into a cute homemade teen gift. Lamp Shade. An embellished and/or refurbished lamp shade makes a great homemade teen gift. Add beads, ribbon and more using a used or thrifty lamp as a base. Embellished Knick Knack Box - Jewelry Box. It's easy to turn a simple wooden box into a fancy jewelry box or knick knack box with art techniques such as decoupage. Keep your eyes out while shopping for used goodies and at discount stores for any box that would make a good base. Then glue felt or velvet inside and use paint, varnish, decals, decoupage paper, glue beads and other stuff until it looks great. Though it's not very teen-like, here's a decoupaged box I made using a patterned napkin. You could make a great homemade teen gift by using a patterned paper or napkin perfect for a teenager. Handmade Earring Rack. I like to stretch a mesh type fabric between a picture frame. Earrings just pop through the fabric and hang for display. There are many options for the exact type of fabric, type of frame and embellishing possibilities. Choose a fabric color that will enhance (or at least not take away from) the earrings such as white, cream, brown or black. Homemade Key chain. What teen isn't infatuated with their first car? Homemade key chains are easy to make homemade teen gifts using a variety of techniques. 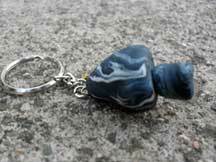 With beads, charms, ribbon, polymer clay (just to name a few) all widely available and easy to use, making a homemade key chain is fun and easy. For example, I made the "Alice in Wonderland" mushroom (to the right) with polymer clay (Sculpy) and a paper clip. If you can hook it on a ring - it can be a key chain. Rear View Mirror Freshener. You can put homemade potpourri in a silky bag with dangling beads and silky dangling ribbon. I also like to add a small crystal, hanging from under the potpourri pouch. Teenage girls especially love this gift! Be sure to use their favorite colors. Rear View Mirror Hanger. Take advantage of your beading supplies and charms to make a "piece of jewelry" for his or her car. Keep it simple, just string together some beads and a prism or charm of some kind, leaving a loop on top large enough to put over their rear view mirror. Teenage boys usually like a simple version with an appropriate charm (for example, a cross, favorite animal or sun sign symbol might work). Their are so many options available for charms to suit any personality, boys and girls alike. Crochet Scarf. Yes, you can crochet a scarf or even a hat. After talking to many teens about homemade scarves, I've learned that the key to a successful crocheted scarf teen gift is the yarn you use. Teens like soft yarn in their favorite colors. Look for designer yarns, they may cost a little more but it will be worth it to your teen recipient and you'll be rewarded with the genuine smile of delight that you seek. Memory Book. Filled or Ready for Photos & Memorabilia. This makes a great gift when a teenager is about to embark on something new. You can simply embellish the front cover, make the book from scratch or actually do a bit of scrap booking inside leaving spaces for him or her to put their own photos. Homemade Music CD. Custom Burned Play list and Embellished Sleeve. Choose favorite current songs, songs from the past decade or favorite oldies listened to with mom or dad. This is a good chance to tease a bit if some of the music they used to like way back when is funny to them now. Here's some links to free cd burning programs if you need one. Homemade Hair Clips, Hair Ties. Buy some basic clips at the dollar store and hot glue on beads and ribbon. 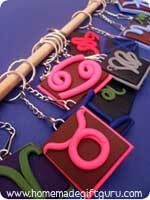 Or use polymer clay to make a custom embellishment. You can also use fishing line to wrap and attach beads for a cute beaded hair clip. Funny Homemade Magnets. Make a homemade magnet. You can buy small magnets at any craft store and then hot glue them to the back of an ornament of some kind. Make your own creation with clay or browse your local one dollar store for cute or funny stuff to make into magnets such as silk flowers, sea shells, tiny picture frames, notepads and craft supplies. You can even use stuff from nature like a framed fall leaf, acorns or even dried fruit or a dried mini flower bouquet. Note: Spraying these items with sealer will help them last a long time. Homemade Candles. Make candles from bright colors or using favorite scents. You can melt down old candles into cute heat safe containers (balancing the wick in the center with a pencil) or buy wax at the craft store and scents too. Make homemade molds in wet sand or out of recycled items such as milk cartons or tin cans. If making candles sounds too involved, you can embellish a plain candle by hot gluing beads or rhinestones in the pattern of your choice or decoupage it with stickers. Important Safety Note: Embellished candles are safe for decorative use only, lighting them can result in the embellishments catching fire. Homemade bedroom decor or homemade gifts for his or her car are a natural fit for teenager gifts. Bath and Body tends to be appealing to girls of all ages. Remember - every teen is different, so the color and the details of your designs will ultimately be determined by what you know about their unique taste. Depending on the teen you are planning for, you may want to personalize your homemade teen gifts with his or her favorite colors, symbols or music logos. For more information, read Personalize It! With Inexpensive Homemade Gift Ideas.